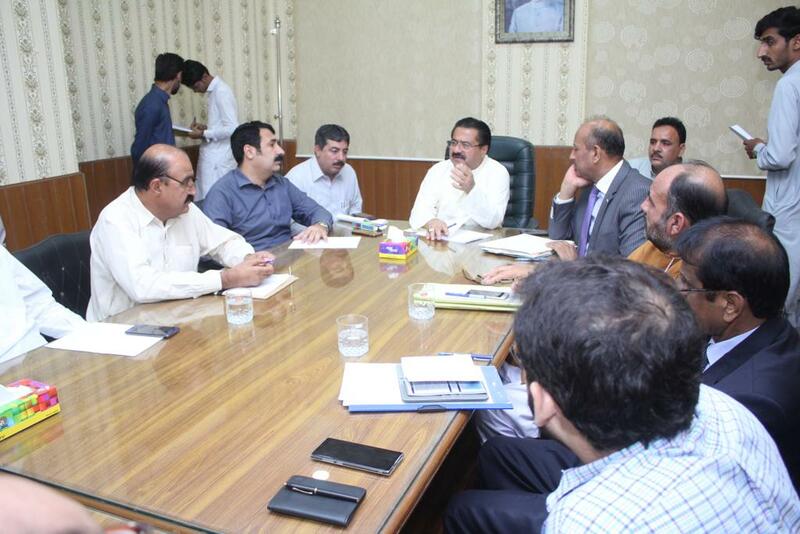 KARACHI (ENN) Sindh Minister for Labour and Human Resources Ghulam Murtaza Baloch has said that Labour Department is keen interested to resolve the issues, faced by labour colonies especially allotments, encroachments and sewerage system. This he said while talking to a delegation, led by Member National Assembly Agha Rafeeullah here in his office. On this occasion Secretary Labour Rasheed Ahmed Solangi, Secretary Welfare Board Dr. Mustafa Suhag, Director Labour Saeed Jummani and other officers were also present. He added, ‘ We know that labour colonies across the province are facing multiple problems and we’re committed to resolve them at earliest’ . Provincial Minister for Labour and Human Resources Ghulam Murtaza Baloch said that encroachments was an issue in Labour Colonies and soon we were going to launch anti-encroachment drive against these illegal occupants. He said that we were also taking steps to improve sewerage systems in labour colonies and hopefully we would be able to overcome these issues. Murtaza Baloch assured the members of the delegation that things were gradually getting better and Sindh government had taken many initiatives to bring a positive change in the lives of the laboures.